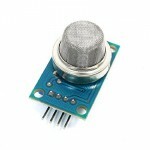 Buy online MQ135 Gas Sensor Module for Air Quality in India at low price from DNA Technology, Nashik. 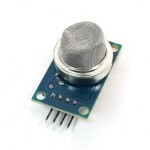 MQ135 Gas Sensor module for Air Quality having Digital as well as Analog output. 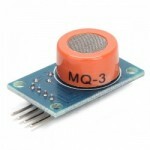 Sensitive material of MQ135 gas sensor is SnO2, which with lower conductivity in clean air. When the target combustible gas exist, The sensors conductivity is more higher along with the gas concentration rising. 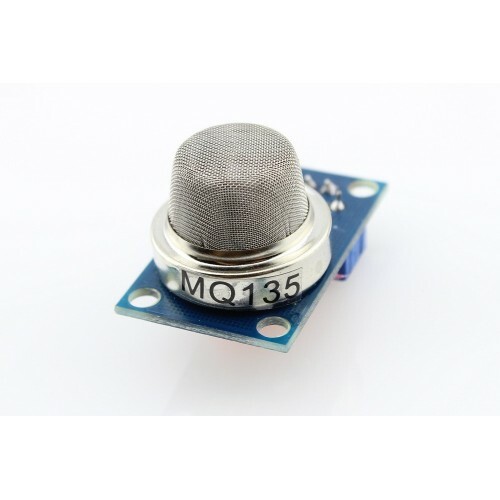 MQ135 gas sensor has high sensitivity to Ammonia, Sulphide and Benze steam, also sensitive to smoke and other harmful gases. It is with low cost and suitable for different application. Used for family, Surrounding environment noxious gas detection device, Apply to ammonia, aromatics, sulfur, benzene vapor, and other harmful gases/smoke, gas detection, tested concentration range: 10 to 1000 ppm. 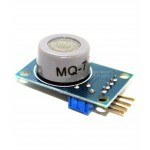 MQ3 Alcohol GAS Sensor ModuleThis is a very easy to use low cost semiconductor Gas sensor Modul..